Families who live in the Northeast have a smorgasbord of wonderful vacation options within a day's drive. The region includes the six New England states (Maine, New Hampshire, Vermont, Massachusetts, Connecticut, and Rhode Island) as well as three in the Mid-Atlantic (New York, New Jersey, and Pennsylvania). From Broadway shows to iconic sightseeing and shopping, New York City offers a slew of fun options for visiting families. 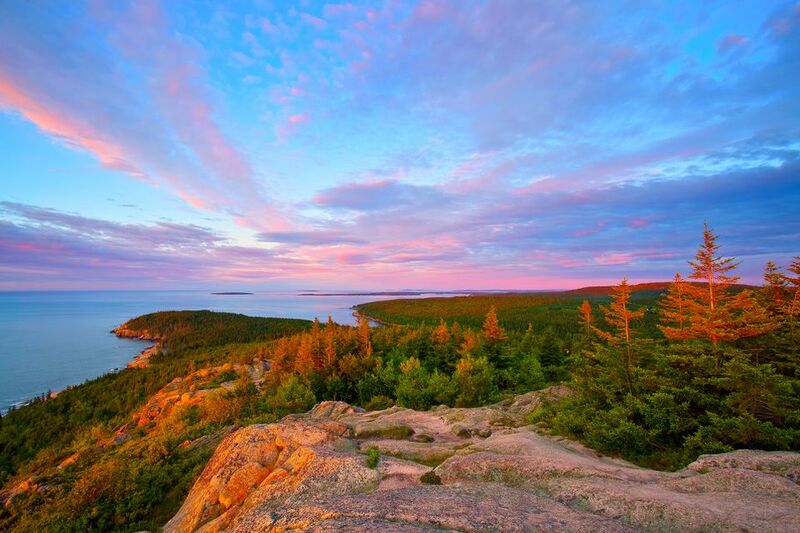 One of America's most visited national parks, Acadia is set on the rugged coast of Maine. The park is home to myriad plants and animals, as well as the tallest mountain on the U.S. Atlantic coast. Today visitors come to Acadia to hike granite peaks, bike historic carriage roads, or relax and enjoy the coastal scenery. For families looking for a mountain getaway that's luxurious yet completely family-friendly, the all-suite Whiteface Lodge is a fabulous choice in the gorgeous Adirondacks of Upstate New York. Not quite a vacation rental, but not quite a hotel, Harborview Nantucket is comprised of 11 impeccably designed luxury cottages that frame a green lawn beside a boat-filled harbor cove in Nantucket. The property is a wonderful oasis in this bustling little town, and it would make a super home base for multi-generational gatherings or reunions. The Algonquin Indians named it Ogunquit, or “beautiful place by the sea.” A jewel along the southern Maine coast, the pretty village of Ogunquit delights families with a stunning coastal walk, wonderful beach, saltwater taffy, lobstering cruises, and lots of unpretentious family fun. As if the Liberty Bell and cheesesteak weren't enough, there are many more fantastic reasons to bring your kids to Philadelphia. The 251-room Mohonk Mountain House overlooks sprawling grounds containing a pristine lake, 85 miles of hiking trails, a nine-hole golf course, tennis courts, stables, and a grand lawn where families can watch movies in the open air. Kids ages 4 to 12 can participate in the award-winning children’s program that includes guided nature walks, animal tracking, and fossil hunts. The upscale Winnetu Resort on Martha's Vineyard is wonderfully family-friendly, offering spacious accommodations, family-friendly dining, babysitting, and children's activity programs for kids ages 3 to 12 as well as for teens. The wildly popular Great Wolf Lodge chain of indoor water park resorts opened its first New England property in the Boston area in 2014. At 68,000 square feet, the indoor water park is the largest in Massachusetts. The grandest hotel in the Creative Capital, the Providence Biltmore opened in 1922 and has been wowing guests ever since.